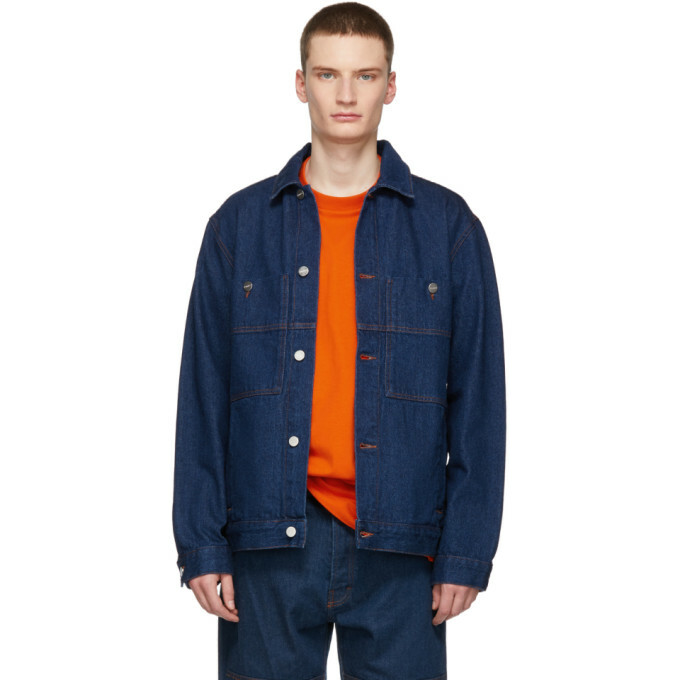 Long sleeve panelled denim jacket in indigo. Spread collar. Button closure at front. Buttoned patch pockets and logo hardware at chest. Welt pockets at waist. Adjustable buttoned tabs at back waistband. Logo-engraved silver-tone hardware. Contrast stitching in tan.